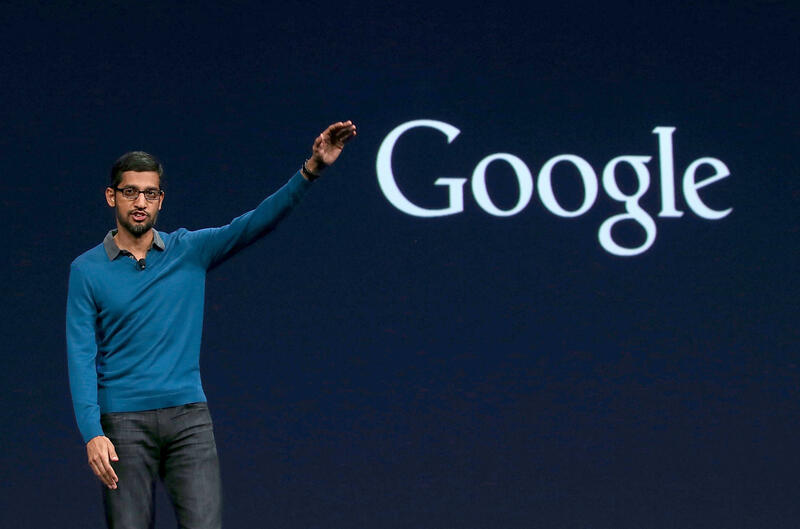 Google CEO Sundar Pichai has canceled an all-hands meeting scheduled for Thursday afternoon to address the diversity controversy that has dogged company for the past week after some of the proposed questions were leaked online. The personal safety of Google employees was cited as the reason for the cancellation in a Pichai email sent to employees Thursday. Pichai said he had heard from several employees concerned about online harassment they would receive due to their names and questions being published by outside websites. "We had hoped to have a frank, open discussion today as we always do to bring us together and move forward," Pichai wrote in his memo. "But our Dory questions [questions recommended by an app for attention] appeared externally this afternoon, and on some websites Googlers are now being named personally. Googlers are writing in, concerned about their safety and worried they may be 'outed' publicly for asking a question in the Town Hall." Despite the cancellation of Thursday's meeting, Google intends to create another venue for employees to discuss the matter. "We'll find a better way to help our employees connect and discuss these important issues further," a Google spokesperson said in a statement. Pichai called the meeting in the wake of the firing of a Google engineer named James Damore, who wrote a 10-page manifesto titled "Google's Ideological Echo Chamber" that argued a gender gap at Google exists not because of sexism, but because of "biological" differences between men and women. The memo went viral after being posted on an internal network and sparked outrage from Google employees. Damore was fired by Google on Monday -- the same day Google CEO Sundar Pichai told employees that the memo's author violated company rules by circulating the controversial memo. He said it's "not OK" for employees to feel that they can't "safely express their views (especially those with a minority viewpoint)." Damore has said he believes his dismissal was illegal and that he would "likely be pursuing legal action." Before his firing, Damore said he submitted a complaint to the National Labor Relations Board charging Google's upper management with "misrepresenting and shaming me in order to silence my complaints." The "alt-right" movement has come to the 28-year-old Damore's defense. One group set up a crowdfunding page for Damore that's raised more than $37,000. The news of the cancellation was first reported by Recode. In the meantime, let's not forget what unites us as a company-- our desire to build great products for everyone that make a big difference in their lives. I have been in a few product discussions today and felt energized by the important things we are working on. We can, and will continue, to come together to do the very best for the people we serve.